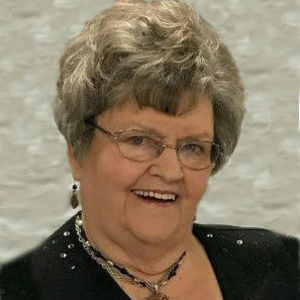 Annetta Cross, age 81 of Hamilton, passed away on Saturday, March 30, 2019 at her home with her loving family at her side. Annetta was born in Monticello, KY where she lived until moving to Michigan in 1956. She worked in accounting at Holland Furnace Company for many years, then was employed at General Electric for twenty-five years, until retirement. During this time, she also worked for Joe-Mar Inc.
Annetta was a loving and caring aunt. She played the role of mother for several years to her great-niece Missy and was like a second mom to her nephew Marty. Annetta was preceded in death by her parents Ramie and Eva Cross, as well as grandparents and two nephews. Annetta is survived by her siblings: Janet M. Clements of Hamilton; Joe and Margaret Cross of Hamilton; nieces and nephews: Drs. Marka and Matthew Steensma of Byron Center, Marty and Ruth Dishman of Borculo; great-nieces and nephews: Jackson and Margaret Steensma, Missy and Harold Sisson; great-great-nieces and nephews: Brianna, Maddie, Johnny and Nina Jo (Annetta's namesake). Annetta and her family are very thankful to Missy for the loving care she provided. Visitation will be from 5:00-8:00 p.m. on Monday, April 1, at Haven Reformed Church, 4691 Oak St, Hamilton, MI 49419. Funeral services will be at 1:00 p.m. on Tuesday, April 2, 2019 at the church. Rev. John Ornee will officiate. Memorial contributions are to Hospice of Holland and Haven Reformed Church. The family is being served by Langeland-Sterenberg Funeral Home. Add your thoughts, prayers or a condolence to Annetta's guestbook.